When German spy Josef Jakobs landed near the village of Ramsey on 31 January, 1941, he had planned to make his way to London. Naturally, given his broken ankle, his plans came to naught. But what if he had not injured himself, during his descent from the German aircraft. Would it have been feasible for him to make his way from the rural fens of Ramsey Hollow to the urban hubbub of London? In an alternate world, Josef would have landed near Dovehouse Farm in the late evening hours of January 31. His landing place was far from any hedgerows or forests so he probably would have used his collapsible shovel to bury his parachute gear in the soft soil. Then what? It would have been extremely dark and given the black-out regulations, there would have been no lights indicating the location of neighbouring farms. He more than likely would have hunkered down in the field and waited for the grey light of morning rather than stumble around in the dark. As the pre-dawn light strengthened Josef probably took out his map of Great Britain and unfolded it. One of the aircrew members, who had flown the plane from which Josef descended, had made several pencil marks on the map. 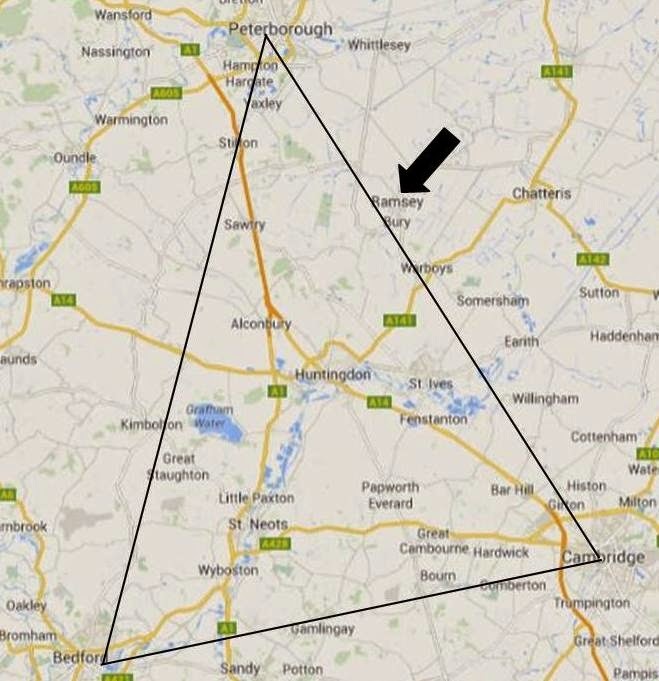 A triangle extended from Peterborough to Cambridge and Bedford. Apparently Josef was supposed to have landed somewhere within that triangle. It was a large area. (In actual fact, Josef had landed just outside the northeast side of the triangle (black arrow). Part of Josef's dilemma was that he would have had no idea as to his location. The first requirement in using a map to navigate is knowing your start point. Josef needed to know where he was. To complicate matters, he had no compass and in the grey light of the featureless fens, he would have had no clue which way was south, north, east or west. As the morning mist rose from the fens, Josef might have seen the buildings of Ramsey in the distance and decided to head in that direction. He would have been looking for a train station at which he could discretely enquire about trains to London. the lower right part of the map. Ramsey originally had two railway stations. 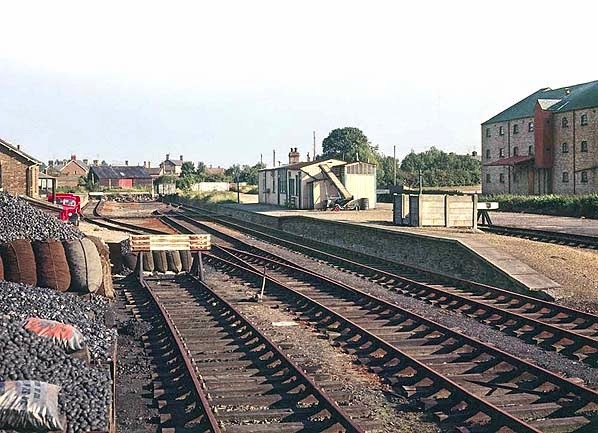 The Ramsey East Railway Station was constructed in 1889 as the terminus of a branch line that ran from Ramsey through Warboys to Somersham where it joined the Great Eastern Railway. The Ramsey East Railway Station had been closed to passenger traffic in 1930, although in 1941, freight trains still used the line. Had Josef heard trains using that line, he might have assumed that passenger trains also ran on that line. His other option would have been the Ramsey North Railway Station. Constructed in 1863, the station was the terminus of a branch line from Holme which still had passenger trains running on it in 1941. This would have been Josef's best bet and, had he actually managed to catch the train and make the required connections at Holme and possibly Huntingdon, he could have ended up at King's Cross Station in London courtesy of the London and Northeastern Railway. Josef's first steps on his journey to London would have been through a muddy potato field as he began to walk from Ramsey Hollow to Ramsey. The routine of life started early in the rural areas of wartime Britain and Josef would likely have been seen by at least one or two farm workers. One could well imagine their suspicion at seeing a business man with an attache case walking along Hollow Lane. The British had been on high alert since the summer of 1940, on the lookout for German spies. Each and every person was essentially a mini Sherlock Holmes. Had Josef managed to reach the village of Ramsey unchallenged, he would have faced other hurdles. He would have needed to ask for directions to the railway station which was not in the centre of town, as it was in so many Germany villages. His poor grasp of the English language, his foreign accent and the mud on his shoes and pants would have raised suspicions. It was extremely unlikely that Josef, had he remained healthy and uninjured, would ever have made it to London, or even to the Ramsey North Railway Station. The British were suspicious of anything out of the ordinary and a well-dressed stranger with mud on his shoes and a foreign accent on his tongue would definitely have been out of the ordinary in the village of Ramsey. A cursory glance at his Identity Card would have alerted even the sleepiest village bobby that the man in front of him was up to no good. On the off chance that Josef had made his way to Warboys, he would have stood even less of a chance of getting to London. The only railway station in Warboys was on same branch line as the Ramsey East Railway Station and closed to passengers in 1930. Most of the German spies who landed in England were captured within 48 hours of arrival. They stood out like sore thumbs for a variety of reasons. They didn't understand the licensing laws of establishments serving liquor and asked for drinks outside of regular hours. They didn't understand English money (pounds, shilling and pence) and tried to pay for a meal with two pounds when two bob (two shillings) had been requested. They appeared in small villages with no clue as to their location, and then asked the locals where they were. Their accents betrayed them. Their forged identity cards were a dead giveaway. On top of that, thanks to the Double-Cross system, many of the newly arrived spies were expected by the British authorities. Josef really didn't have a chance, even if he had landed uninjured. 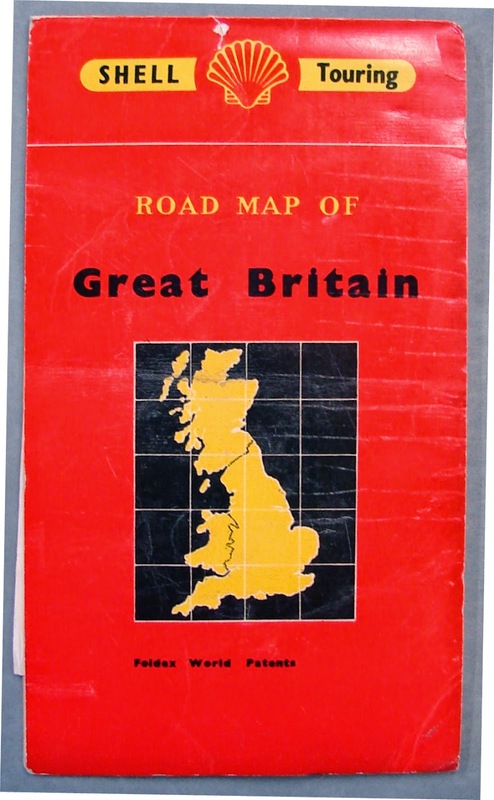 The map which Josef carried on his person was a Shell Touring Road Map of Great Britain. It was naturally confiscated by MI5 upon his capture. It sat in the MI5 files for decades before it was eventually released to the National Archives in the early 2000s. It is located in the KV 2/27 Security Service file. 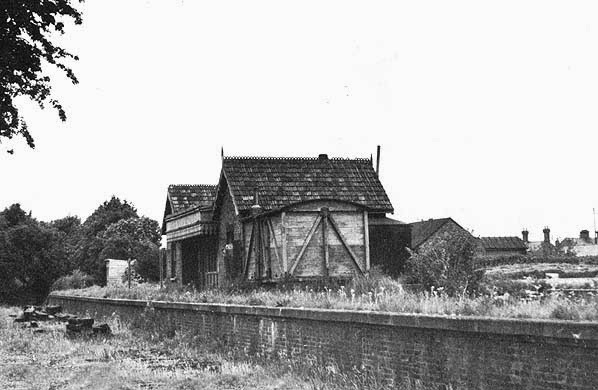 The Ramsey East Railway Station was closed to all railway traffic in 1956. Since then, the last remains of the railway terminus and the station buildings have been demolished. A new industrial complex and a housing estate now sit on the former station site. The former route of the Ramsey East Railway line can still be traced on the satellite images available through Google Maps. The Ramsey North Railway Station closed to passenger traffic in 1947 and to freight traffic in 1971. Since then the railway line has been torn out and many of the station buildings demolished. One of the remaining buildings is apparently used by Ramsey Auction Rooms. The former location of the Ramsey North Railway line can also be traced on aerial images as it makes a gentle northerly and then westerly curve before meeting the main railway trunk line near Holme.